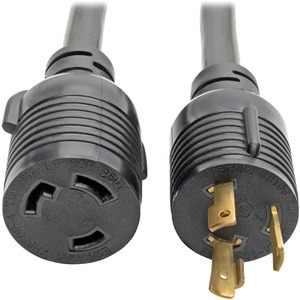 Tripp Lite's Power Splitter Cable - L6-30P male to 2 x L6-30R female. Constructed with 3 x 10ga copper conductors, fully molded ends and 250V/30A rating. Tripp Lite Lifetime Warranty.